Today, most businesses don’t need to be convinced about the need to modernize their IT landscape. Nevertheless, any big transformation can have a wide-ranging impact on the organization. So, it needs to be well thought out. Primarily, enterprises are looking to modernize for two main reasons. One, they are keen to futureproof their business by keeping themselves agile and adopt newer technologies as they evolve. The second reason is generally cost. Lately, the conversations are centered more around digital and agility than costs. The best way is to balance both these factors. It shouldn’t be just about cost. Neither should it be about a big bang transformation. The ideal approach lies somewhere in between. We have to optimize cost and invest part of the savings back into modernizing the landscape. Unfortunately, there are no prescribed solutions here. Every organization has to find its own path to success in this digital journey. Know Your Technology Landscape: Legacy IT is complicated. Once you get 100 percent coverage and accuracy in identifying your real estate, you may be in for some surprises. There may be a critical piece of business infrastructure that no one told you about; which you may need to account for. Know Your Priorities: Modernization can cover many different facets. So, any such exercise needs to be in tandem with other business priorities and overall business strategy. Plus, returns from a modernization initiative are usually not immediate, unlike when you implement a new business process or new functionality. Prioritize wisely. A combination of top down and bottom up analysis can help you come up with the right approach. Don’t Disrupt Existing Operations: Give some thought to how we can transform in a way that existing operations are minimally affected. An iterative, continuous process of making incremental progress every month or every quarter works better than one massive transformation exercise. This can be achieved through proactive monitoring, bringing a cultural change, automation, and adopting a DevOps model. It’s about creating the right environment from the tool, process, and people perspective so that it all works together. While these approaches may help smoothen the process, the fact remains that every modernization project will have issues, even if you think you did adequate due diligence. However, there are a few challenges that enterprises need to watch out for during any transformation. One, the right technology is most important. Never take short cuts when it comes to enterprise architecture design. It’s ok if you decide to change the tools used, but architecture is more long-lasting. You need to strike the right balance between getting a future state architecture that will give you long-term benefits versus any shortcut you might take from the point of view of immediate costs. Choose technologies that will serve you well in the long run for example you could consider investing in a platform that forms a basis for bringing in other technologies on board. It is a good idea to federate technology adoption across various business functions in an organization, however, it is equally important to define some design principles around scale, interoperability, agility that every solution must adhere to. Organizational readiness is the other important factor. Don’t treat this as just a new technology rollout that you implement in isolation. It must be an organizational transformation. There needs to be organizational change management where leadership as well as employees are aligned to the new reality. A leadership and soft skill training around leading change can help in a smooth transformation. The technology landscape is generally transient. Our approach is about maximizing the use of automation and software in any modernization drive to ensure that we do it right the first time and do it at a pace that is in line with the business priorities. As technologies change, so do goal posts. Therefore, taking a continuous approach to modernization so that benefits accrue as early as possible and in a sustained manner is the best way to go. I’d like to thank my co-author Suryaprakash Viswanath Kareenahalli, Senior Vice President – Retail, CPG, Logistics, and Modernization, Infosys, for his help in co-writing this blogpost. Find me on Twitter if you’d like to talk personally, contact one of the Micro Focus offices if you need more information and don’t hesitate to check our new monthly ‘Did You Know?’ newsletter. 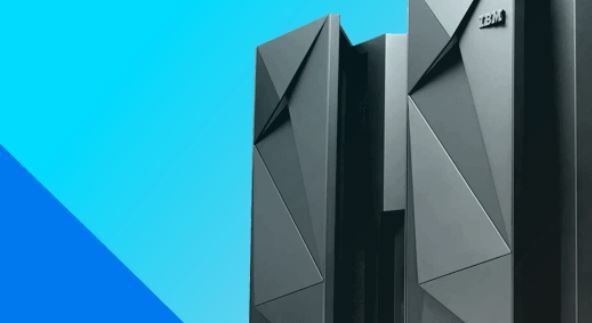 To read more great Mainframe Modernization blogposts from Infosys, please head directly to their blogsite.